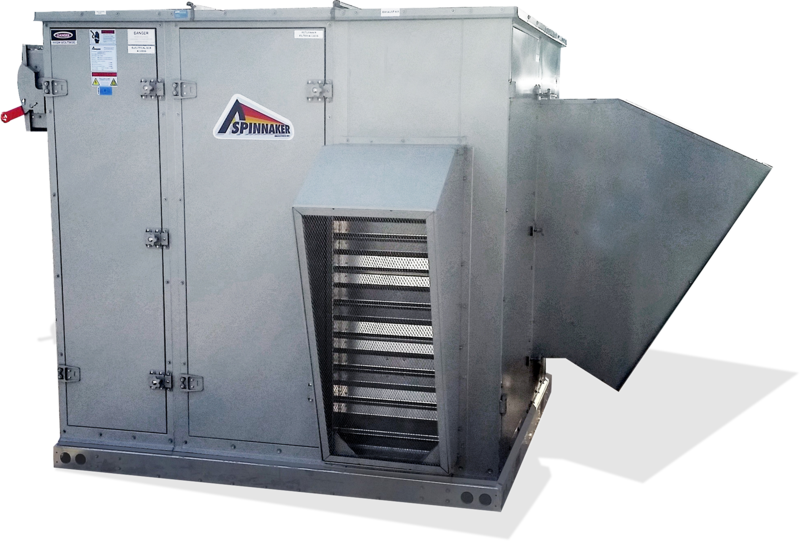 Spinnaker’sRERVX series, rotary energy recovery ventilators, range in standard sizes from 250 to 20,000 cfm and even larger custom sizes. RERVX series include the addition of cooling / heating coils , natural gas re heat or wrap around heat pipes to further enhance your design. Optional dampers, hoods, frost control strategies, variable frequency drives, and DDC controls are also available.